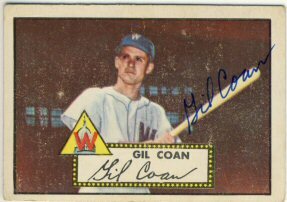 I was out of town for about a week and came home to find some more 1952 Topps returns. I received signed cards from Gil Coan, Bob Friend and Bob Kuzava. I also received a few more vintage cards I purchased on eBay and will be sending those out soon. I recently bought a handful of vintage cards and sent them out last week. Today I got back the first two returns. 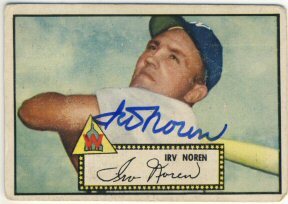 Irv Noren signed his 1952 Topps for his $10 fee. 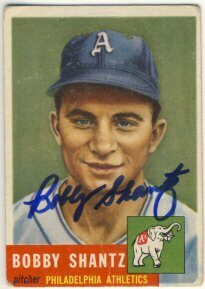 Bobby Shantz signed his 1953 Topps. Mr. Shantz is a very generous signer and I was surprised I hadn't gotten this card signed yet when I was going through my lists. 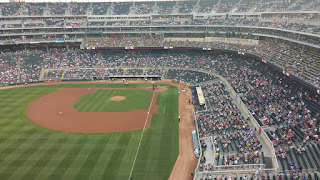 I was on the Budweiser Deck for last night's Twin's game. 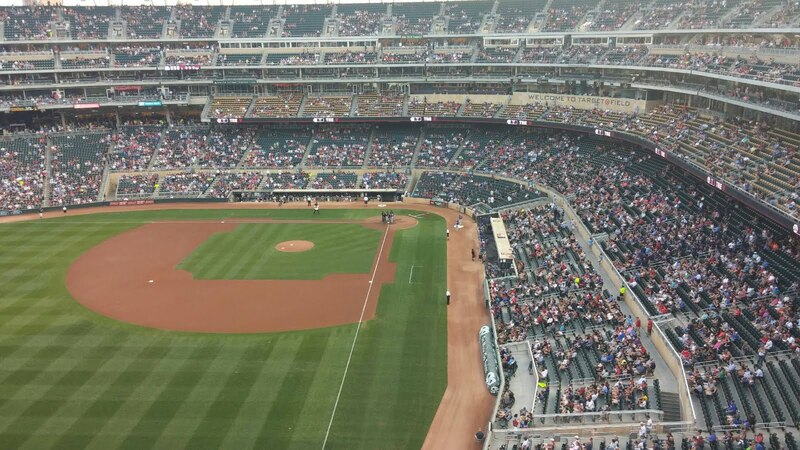 Sano's big blast looked like it could have reached me! A couple weeks ago I posted about the Twins game I went to, thanks to my sister, where we got the Brian Dozier bobblehead. This bobblehead does not have a good spot for an autograph, so I'm not sure I'll get this one signed. 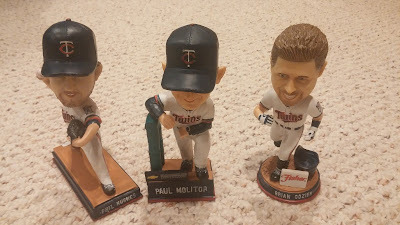 Yesterday, I bought the Molitor and Hughes bobbleheads from blog reader and fellow collector Steve. Thanks Steve! I still need to pick up the Hughes Star Wars bobblehead from this year, but they're still kind of spendy. Another paid-signing return today. 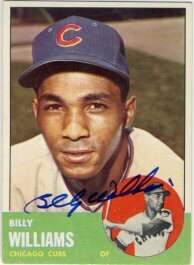 I sent two cards to Tom Orr (Atommic Sports) for a Billy Williams signing on July 31st. 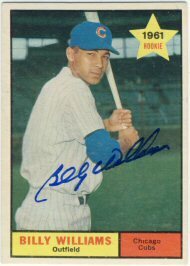 I was able to add cards to two of the sets I'm working on, including the 1961 and 1962 Topps sets. 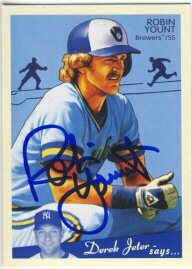 Today I received two cards I had sent to Waukesha Sports to get signed by Robin Yount last weekend at the National Sports Collectors Convention in Chicago. I haven't added a card to my 2008 Goudey retired players collection for over two years. I'm happy to make this my 39th card in that set. 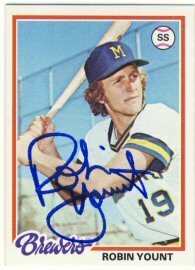 I also took the opportunity to get a 1978 Topps signed, assuming I'll start work on that set in earnest sometime soon. 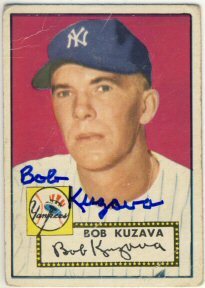 This is also a card that stands out from my childhood, so it's cool to have it signed. 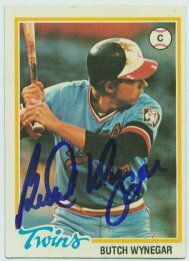 I think the card that stands out the most from my childhood is the 1978 Topps Butch Wynegar card. 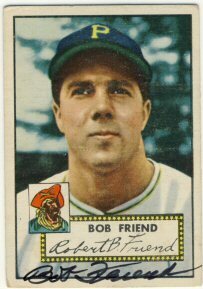 As a Twins fan, I was happy to pull this card from the packs I'd buy at Hunt's Silver Lake Drug in Rochester, Minnesota after church every Sunday. That is, until I had about a dozen of them, and it seemed there was one in every pack. It's one of the first cards I sent out to get signed once I discovered this hobby back in July of 2003.